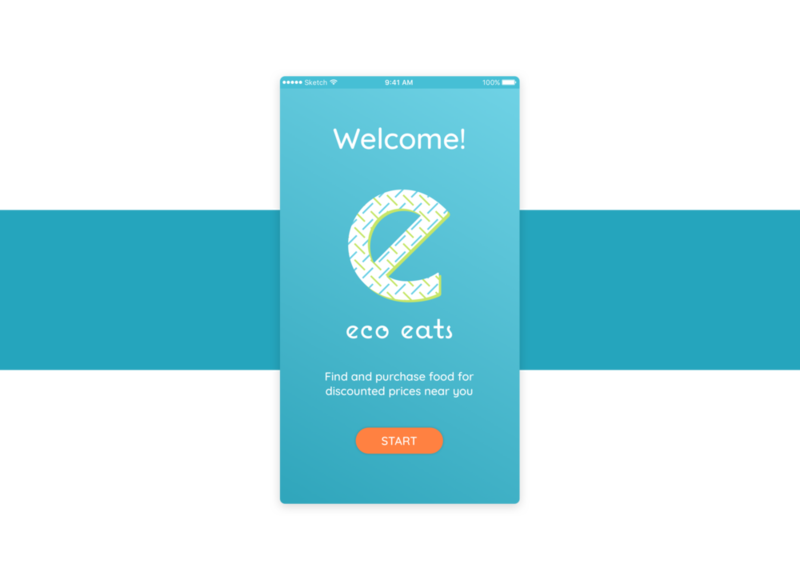 Eco Eats is an organization that aims to provide food insecure communities with discounted food from vendors, while minimizing the amount of food wasted by such vendors. The organization is currently located in Vancouver but hopes to expand its community base across North America. The app will allow community members to shop for discounted food items in a dignified manner before the items reach their best-by or expiry date. Many organizations attempt to provide food to people-in-need through in-person options such as soup kitchens and neighborhood houses. Many of them unintentionally fail to provide dignified access to these services as they leave consumers feel as if they receiving leftover food. Currently, there is no app that provides the community with dignified access to affordable food. Also, there is also a limited number of apps that provide education and assistance for consumers and vendors to reduce their food waste. The app we created delivers communities with a solution to both food insecurity and food wastage. Using Material Design inspired hovering effects and interactions, the UI elements match the app experience to a real life shopping experience. The user research highlighted that an onboarding process was necessary to ensure users feel engaged to participate in this community-based venture. Consequently, users are guided through an onboarding process during their first app use. This enables them to gain confidence using the app and its functionalities, such as the item drag-and-drop. The user can browse for products via the search bar or through the home page. They can type in the product name or use the drop down menu to select the common food categories. Once they have selected their categories, they can filter their results by distance or price, and reserve them for pick up at their community grocery store. In addition to the high-fidelity prototype, our team decided that the research and brand identity had to be succinctly summarized for easy access and future use by the organization. Therefore we created a brand guide that includes items such as domain research, personas and a detailed description of the visual brand identity. The client is currently initiating development of the app. Further details will be added as the app is developed.